I think we can all agree Christmas dinner is pretty great – from the juicy turkey to the crispy skinned roasties, the meal is a delight from beginning to end. But just imagine if you got to eat it for free. And not just one dinner either; as many Christmas dinners as your heart desires. 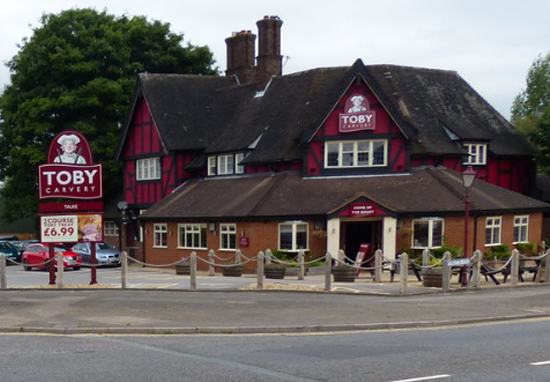 Pinch yourself, because Toby Carvery is looking for a Toby Carvery Festive Meal Taster, who has the ability to offer ‘honest and objective feedback’. Are you the ultimate Christmas dinner fan? Would you enjoy one every day if you could? And what if you didn’t have to pay a penny to do that? Well, that could soon become a reality as we’re looking for festive feast lovers to do exactly that, in the run up to the 25th. Yes, this could be the best job in the world. This role will be key in helping Toby perfect and launch new products across the UK, at this important time of year. A successful candidate will join the Toby team in the run up to Christmas, to taste, discuss and pass opinion on the festive range of food and drink. We want them to visit as many different Tobys, as many times as they want. This lucky part-time employee won’t receive a salary, but they will get to eat as much Toby Carvery Christmas food and drink as they wish from the moment their employment commences up until December 31. In order to stand a chance against other hungry candidates, you will need to have ‘well-honed taste buds, an appreciation for all festive foods and an expert knowledge of what makes a great Christmas dinner’. You should also be a good team player with a solid understanding of the consumer market in the UK, and strong English language skills. The application process for this job is refreshingly swift – so if you feel you know your Duck & Clementine Marmalade Pâté from your King Prawn & Lobster Cocktail then you should definitely have a stab at this. All you need to do is write a 25-word LinkedIn post explaining why you are the official mystery Christmas Dinner Diner of their dreams. Your post should be accompanied with the hashtag #HireMeToby. Of course, writing short copy is deceptively hard. You only have a limited amount of words to express how amazingly talented you are at eating food and discussing food – so use them wisely. Toby is also welcoming any photos and videos in support of your application – which leaves you plenty of room to get creative. However, you might have to get your thinking cap on quick time as the application deadline is 11.59pm on December 8. I say go for it. You have absolutely nothing to lose but your belt buckle.